Don’t waste all those free narratives right at your fingertips. They’re just waiting for you to weave them into a story. 1) First, cut and paste a screenful of status updates from your friends into your word processing program. 2) Then, get rid of all but the juiciest, most interesting ones. 3) Imagine a storyline in which these updates belong to your protagonist. Example below. Names have been changed to protect the innocent, and permissions have been granted to publish these. Ted Johnson might need some tequila. Some debt collecting agency calls me several times a day, looking for various Johnsons who don’t exist here. Today they are insisting my name must be Tequila Johnson. Holly Schuster is up and operating off of 3 hours of sleep…but I got most of my work done…will be crashing this afternoon, for sure! Tyler Hall talked for a long time with both of my sisters tonight, cried at a sad story on Biggest Loser, and baked a cake: what great (and free) therapy after a tiring day! She was up and operating after only 3 hours of sleep, having talked for a long time with both of her sisters the night before. They couldn’t tell her what to do about the collections agency calling several times a day, looking for Stan. What she felt like drinking was tequila, but the only thing at the office was stale coffee, cool enough to drink through a straw. *This is a jumping off point to get your brain running—–not a suggestion to fictionalize your friends’ lives. Use more status updates to keep your story going, if you need them. Get writing! The other day I was speaking in German to another parent at my son’s kindergarten. It’s a great place for me to try out my language skills because the people are friendly and patient. 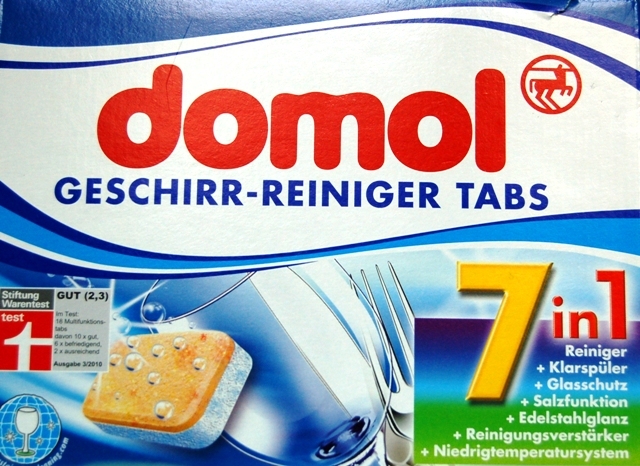 I was making (admittedly boring) small talk, trying to tell her that I had been shopping for dishwasher detergent tablets, but I didn’t know the word, so I made do. I said I had been shopping for “plate soap” or teller seife. Of course this got me a friendly laugh, but she knew what I was talking about and then taught me the right word(geschirr- reiniger tabs). It got me thinking, though. Trying to communicate in another language makes you think of new ways to get your point across. The important thing is making yourself understood. It’s similar to when I’m speaking with someone who doesn’t know a lot of English. I can’t always use my “English major” words. I have to use simple, direct words, and using a limited pallette can lead to interesting things. Take a section of text, from your own writing or from a book, and rewrite for someone who doesn’t know a lot of English words. Another way to think of it is to turn the text into an easy reader. The idea is to think about the words in a new way. Shades of meaning will be lost, but you might gain a new perspective. One fall night there was an ugly, dirty boat floating on the Thames River. The boat was between two bridges, one of metal and one of stone. One person in the boat was a strong, rough-looking man with a tan face. The other was a young woman with dark hair. She looked like him. She must be his daughter. This is an oldie but a goodie, first introduced to me by my favorite college professor, the late and great Robert Kirkpatrick. I don’t really consider myself a poet, but because of my classes with him I do try to think like one. Start by photocopying a page of text from a dictionary or field manual or suchlike. Something with plenty of concrete nouns is best, but you can do it with nearly any kind of writing. I have even done it with a page of my own fiction drafts, but nothing beats a good old-fashioned, real-live made-from-paper dictionary. I’m partial to the American Heritage. Skim the page for your favorite phrases (three words together or fewer), and circle or highlight them. Next, copy down these phrases in your notebook, in an order that pleases you. Cross out any words that seem off point or less appealing to you now. Try to boil them down to the most concrete, stick-in-your-craw words. as if transporting freight by propeller blade. Check for vapor in the bone cavities of the wing. Your rudder must have no weak points in its passage. The national conference for the American Association of School Librarians will be held here in Charlotte, NC next month. I will be signing books at the Author Pit Stop on Friday, November 6 from 12:45-2:15 p.m. on the exhibit floor. I will also be presenting, along with librarian Debra Heimbrook, a concurrent session from 10:15-11:30 a.m. on Saturday, November 7 in room 213D. Our session is entitled Revving Up to Write: How One Author Fuels Writing by Reading, Plus: How an Author Visit Can Rev Up Writing at Your School. Revving Up to Write emphasizes ways of collaborating with teachers to create writing assignments. I will also give suggestions for leading students in pre-writing exercises driven by reading. The program is also designed to encourage students to think creatively about using various library resources. Ms. Heimbrook will speak about using the library as a fueling station for writing, for those laps around the track as well as trips outside the raceway. Come join us for an interactive session, including writing exercises designed to get you going. Stay tuned for more details. I will also be signing books at the Boyds Mills Press booth at some point. Television gets a bad rap, but I have to admit, I actually love it—some of it, anyway. And it’s not a total creativity-killer. Case in point: this writing exercise. I think I’ve watched way too much Without a Trace, because I sometimes find myself wondering—if I disappeared, what would the missing persons unit make of my calendar, credit history, notes left around the house, grocery list, last words to my neighbors, last facebook entry, trash can contents? 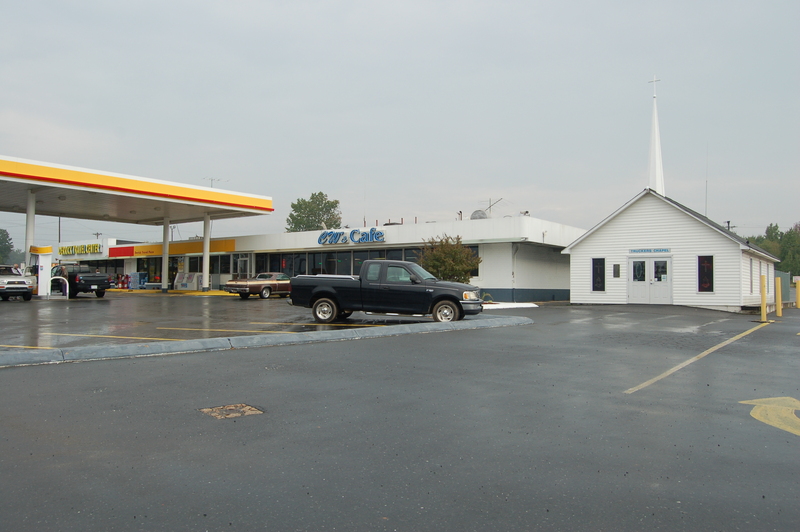 Ever seen a church at a gas station before? I hadn’t, until we stopped at this beauty on Saturday, somewhere between Charlotte and Durham. I felt I had to record it for posterity. We were very thankful there was actually gas at this station. When writing about a specific place, take a video of it so that you can refer to it later when you sit down to write. Brilliant! I usually have very specific places in mind when I write, and though I do visit these places during my writing process, video had never occurred to me. I love the idea of being able to access the sounds and movement of a place as well as the sights. Photographs would also be helpful, like the one above. I can only imagine what sorts of prayers are lifted in this chapel. There’s a story-starter for you. As promised, here’s writing exercise inspired by Francine Prose’s Reading Like a Writer. Prose devotes an entire chapter to each of several writing elements. This exercise is inspired by chapter six on Character, and by chapter five on Narration. The idea is simple: describe your character as if you were a completely different sort of writer than you are—-say, Jane Austen or Lemony Snicket, or anyone with a distinctive style. How would Austen or Lemony Snicket write about the same person? I used an Austenish sort of voice, describing my character’s foibles with a stiff upper lip. Of course what I wrote probably won’t end up being in my book. It’s just a way to explore my character more fully and fill out the facets of her personality. Since I last blogged, an illustrator has agreed to do the artwork for my easy reader. I’ll announce who it is after the contract is signed. At the signing in New Hampshire, I ran into Jo Knowles’ mother, who happens to be a librarian in the area. Small world, children’s books. Just yesterday I received in the mail a copy of my great-great grandmother’s diary from 1940. Whoa! My great uncle John is the family genealogist and keeper of all such tidbits. Haven’t had a chance to crack it yet, but I’m already wishing Great-Great-Grandma had a typewriter. I’m not used to reading handwriting anymore. Maybe there’s a story in there somewhere, though Uncle John says probably not.